I never thought I would call African Literature “my jam!” but I had an outstanding teacher. As a young boy, he was smuggled out of Nigeria because he was a royal. Chinua Achebe later became his mentor, and as students, we were able learn a different side of African culture than what most people are accustomed to. We didn’t just read Achebe’s books. Things Fall Apart wasn’t required and to be honest, I have never read it. We started with Anthills of the Savannah, Arrow of God was extra credit (of course I read it), and then did a literary tour of all parts of the African continent. Since the world lost Achebe last week, I thought I might be able to help the world find African Lit. 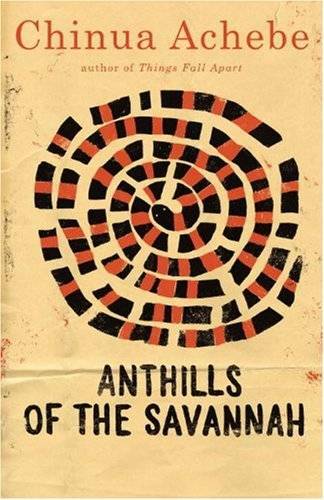 Set in the fictional west African nation of Kangah (basically Nigeria), Anthills of the Savannah paints a portrait of what Western influence and political upheaval can do to a nation. The three main characters, all childhood friends, have three different major roles: the daring newspaper editor, the Commissioner of Information for the new government, and the new president-by-force. The story moves quickly and the text is easy to understand, which is important when you’re trying to navigate an entirely different culture from your own. Mahfouz takes us to Miramar, a pension in 1960s post-Revolution Egypt, for a murder mystery/look into old school vs new school mentality. Zohra runs away from her family in Alexandria and seeks refuge at Miramar, where she is hired to do chores for the residents. For the young men living in Miramar, she represents the future. For the older men living in Miramar, she represents what was before the revolution. They get jealous of each other (as men do), someone ends up dead, and that event propels the narrative. It’s a small book, so it can be read in an afternoon. Pretty amazing what Mahfouz was able to cram into so few pages. Man, I love this one. Ngugi originally wrote Matigari in his native Gikuyu while he was in political exile from Kenya in London. When it was published in Kenya 1986, people were talking about this fictional Matigari guy like he was a real person. The government wasn’t too happy about it, and they issued a warrant for Matigari’s arrest. They felt pretty stupid when they found out he wasn’t real, and in February 1987, the dictatorship raided every bookstore in Kenya to burn all copies. It is a great story of one man’s quest to restore justice to his homeland. 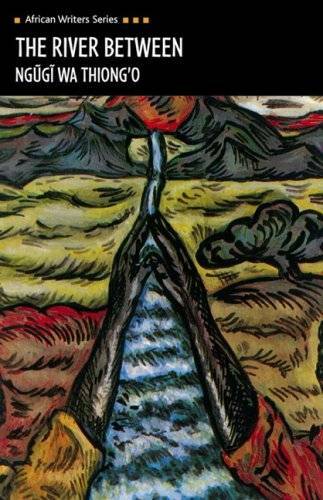 Ngugi wa Thiong’o’s The River Between is a much more serious book dealing with Christian influence on two African tribes and the controversial issue of female circumcision. Petals of Blood is also one to put in your TBR pile.